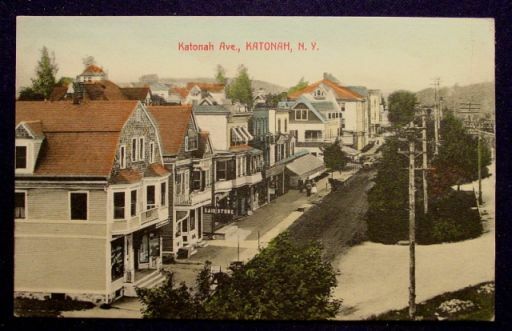 If you are or know someone who is a collector of local history,up for auction on eBay is this 1910 postcard of Katonah Avenue. 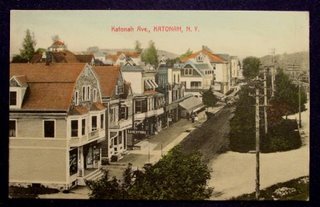 This weeks Record Review (June 23, 2006) has an interesting piece on Katonah's premiere portrait artist Mark Hass. Mr. Hass needs to find models with a specific kind of look for a series of large religious canvases the he has been commissioned to paint for an Ohio businessman. C) Angel Gabriel. "I'm not sure what I am looking for with Gabriel. Someone androgynous looking, I think" Mr. Hess stated. Potential models can email their photographs to Mr. Hess for consideration.